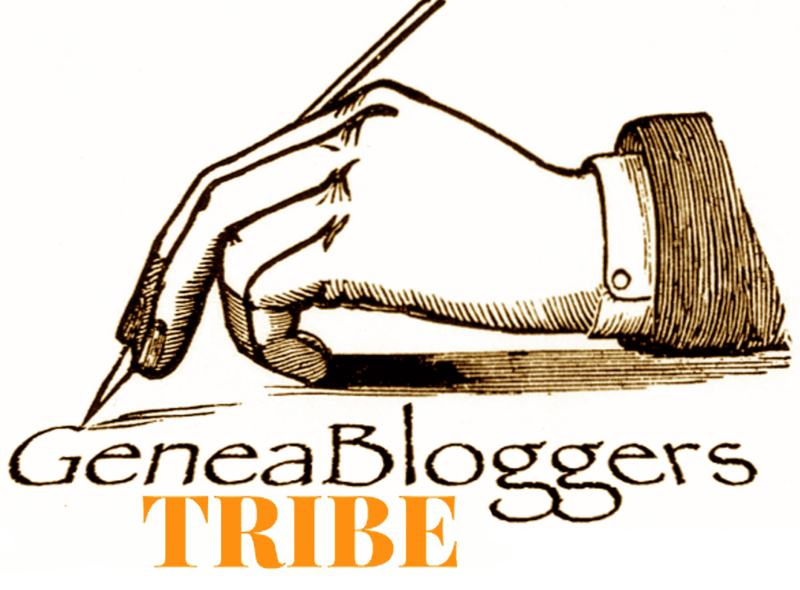 This blog will record my research (both in Australia and overseas), links I like, articles or newsletters I read, family history news that excites me and so on. The aim is to be a fortnightly record of my activities which might be of interest to other genealogy researchers. 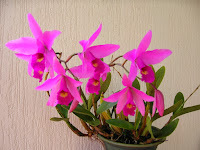 It's almost Easter and without fail my orchids bloom each year just in case I forget. The blooms this year are not as good as previous years, possibly that long hot summer with no rain. This image is from a few years ago when they were simply magnificent. 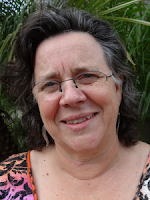 During the fortnight I continued my blog interviews for the Waves in Time conference speakers - read about Michelle Patient - The Patient Genie who is giving a session on methodology. There is now a link on the conference website to speaker interviews with the other conference ambassadors. Check it out here and more interviews will be added over the next few weeks. Hard to believe that the conference is now just over four weeks away. One of my Christmas presents was Nathan Dylan Goodwin's Ghost Swifts, Blue Poppies and the Red Star, a Mrs McDougall investigation. I made the mistake of putting it into my must read pile of books and of course since then more have gone on top and I have been sidelined by others. After seeing a tweet from Nathan on whether people liked the book, I realised my error and it went straight to the bedside table. Another great read and hard to put down. It is set just after World War One when so many were grieving for lost sons, fathers and husbands. I hope there is another Mrs McDougall adventure soon. 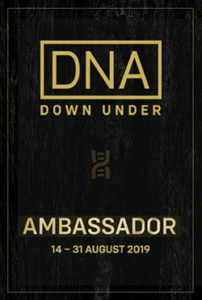 I am pleased to announce that I am also an ambassador for the Unlock the Past DNA Down Under event in August. There are one day seminars in Adelaide, Brisbane, Canberra, Melbourne and Perth and a three day conference in Sydney. At each event there will be a number of speakers and topics and as DNA seems to be the flavour of the geneamonth, these sessions are likely to be very popular. I'm tempted by the longer Sydney event but the Brisbane event will be easier to get to. I was fortunate to hear Blaine Bettinger at an Unlock the Past event in Seattle prior to the Alaska genealogy cruise. Similarly I was on the same program at a Townsville genealogy seminar for National Family History Month in 2017. Both speakers I would like to hear again and both are on the program for Brisbane. So that looks like a must do. As Sydney is over three days, it is divided into Beginner, Intermediate and Advanced streams - at the moment I think I am somewhere between intermediate and advanced. Which stream/talks to go to if I decided to go to the Sydney conference? The full program is not online yet but I can see the choices might be tough. This week I'm presenting A Soldier in the Family to Caloundra Family History Research. It looks at different military resources using my own family examples. My biggest worry is getting trapped on the highway going to or returning from Caloundra - Easter Thursday holiday traffic which I didn't consider when they first asked me to do this date. The main issue coming home is that I have to be back at the Bribie Island Library by about 4.45pm as our new group DNA Genealogists might be turning up. We received publicity in the local papers but the fact we were not having the first meeting until May was not published. Therefore some people might turn up even though it is Easter Thursday. My job is to sit there and explain the mixup. So far quite a few people have expressed interest but anyone who hasn't formally contacted the organiser won't know there is no April meeting. My two classes at U3A Bribie will resume - advanced family history which seems to have a waiting list to join and my writing family history. Both groups have continuing students and it will be another fun term but it speeds up the weeks. Time seems to fly during terms. Until next fortnight have lots of geneafun. March is over and Easter is fast approaching. Mum's birthday is often on or close to Easter so a time for family catch-ups. This year it is the big 85 and there is a request for pizza and cheesecake and some bubbly. If it wasn't for the bubbly, I feel I am organising a kids birthday party, but apparently these are 'delicacies' not often found on the aged care centre menus. Lots happening in April. My ambassador blogs for Waves in Time genealogy conference have continued - read about Jason Reeve from Ancestry here and Dan Kelly from Boolarong Press here. One of the other ambassadors has pulled out so another two speakers are now on my list - more to follow soon. As Waves in Time is not that far off now (May), my sights have turned to later in the year. 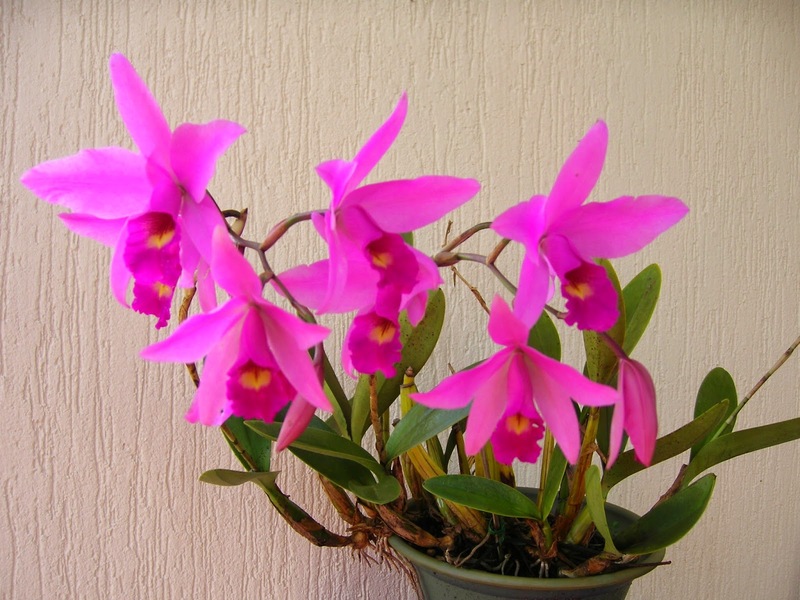 There are two that have caught my eye in August and September. First is the Unlock the Past DNA Genealogy Downunder tour which goes to a number of capital cities including Adelaide, Brisbane, Canberra, Melbourne, Perth plus a 3 day event in Sydney. I will be going to the one in Brisbane on 14 August and seriously thinking about Sydney at the end of August. I usually try and get to the NSW/ACT conference each year in September but missed last year as I was in Alaska. The theme this year is Exploring the Past. It is also in Sydney and just two weeks after the UTP DNA event. The program is not up yet which makes planning difficult. Two trips to Sydney in a fortnight or stay there, but then that gets expensive. Decisions decisions! Closer to home there is the annual Moreton Bay History Seminar on 16 May at North Lakes Library which looks at the history of South Sea Islanders in Queensland, the history of Redcliffe as a penal settlement and then as a seaside resort. One of my favourite speakers, Dr Jennifer Harrison, is on the program. It is part of the Australian Heritage Festival organised by the National Trust. It's free but limited places so make sure you book. After re-looking at some of my earlier research, I decided to reread the local histories of the area I am researching on a particular family line. My first read was about 40 years ago and a few flick through the books since. As I have discovered a lot more in recent years, this time something leapt out at me that has truly staggered me. Now I just have to find out what happened to the written/oral stories included in the publication. They only used a snippet and one gets the feeling it was part of a much longer reminiscence. Fingers crossed it is still held by one of the local historical societies. In April I am speaking at the Caloundra Family History Research on A Soldier in the Family which looks at military records. I always enjoy speaking there and everyone wears purple and they have yummy afternoon teas. 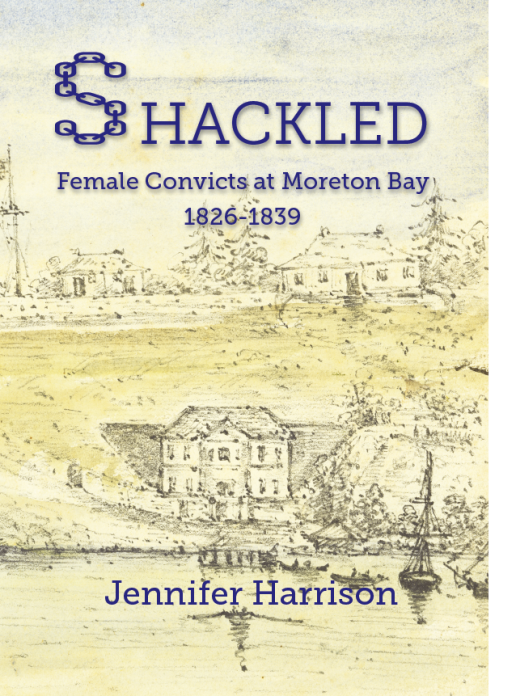 My talk at the Bribie Island library on convicts and criminals was good and question time revealed that some people have some really interesting convicts. Especially those who covered their tracks once their sentence was up. The presentation is on the Resources page of my website, scroll down to Presentations. 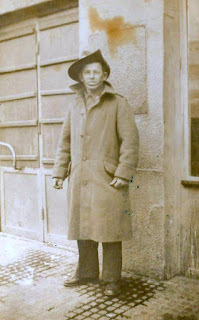 To the right is my great grandmother's brother, Denis Patrick Finn. He enlisted in WW1 as a 17 year old and spent his 18th birthday in a German prisoner of war camp. His life story is quite sad and he often features in my talks. Not a heading I use often, but this is must watch viewing. The new Australian series of Who Do You Think You Are on SBS starts on 30 April. Make sure that is in your diary dates. Check out the celebrities this year, it looks like it will be a great series. Term 1 of U3A finished first week of April then we have a two week break and resume again after Easter. Most of my 'students' are returning in both the advanced family history and in the family history writing class. Those that aren't are going on their annual winter trek to warmer places. Having lived down south, I don't think Bribie ever gets cold, certainly no frost on the ground and no snow. Maybe they just like travelling. My list of things to do in this two week break is almost ridiculous especially when there are other temptations like walking along the beach on blue, sunny days or swimming or even gardening to get back on top of the weeds that went berserk during that hot and humid, supposedly autumn March. Until next time, happy searching. Super effort to catch up this fortnight and stay organised. Another study tidy up and rearrangement of furniture, books and family history folders. So neat and tidy and no place to just pile up anything. Yes neatly labelled draws with my only fear that it will be 'out of sight out of mind'. It was actually good to get back to some blog writing. 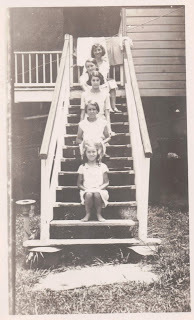 March is International Women's Month and it is a long standing practice to write about my female ancestors. This time I have written about Finding Female Ancestors which includes some of my favourite resources for locating women in the family. Also completed the first of my Waves in Time conference interviews with speakers is Niles Elvery from the Queensland State Archives. Next up is Jason Reeves from Ancestry with Dan Kelly from Boolarong Press to follow. Apart from the Waves in Time conference, there is also a book publishing conference in Brisbane on 27 April 2019 which looks interesting. There is a modest registration, it is only one day although a long day if I add travel time from Bribie. Most family histories won't attract a commercial publisher, but more and more are opting for the self publishing option as either ebooks or print. We still need to know about editing, and what the various production methods are these days. My writing family history classes at U3A have a wide range of student projects, so something like this conference might help answer some of their questions. Seriously tempted. In this online world we should not lose sight of the need to make personal contact with distant cousins. Last week our second cousins on the Burstow line visited Bribie and we caught up for the chat and swapping of information. Then we went for a drive and they were able to show us where the original Burstow home was at Woorim on the other side of the Island. Where the house was is now a block of four units but at least we know that the family story of just being able to walk down the stairs and across the dunes to reach the beach was totally true. We are probably all aware of the new DNA tools announced during RootsTech 2019. There are various papers from the conference available for download and not just on DNA - so check out the Conference Syllabi. As a way of looking at these various new tools, I used my own families to illustrate them to my U3A class in advanced family history. While it is possible to talk about Ancestry's Thrulines it is much more meaningful when you can show people how it relates to real examples. Many of my Cornish lines have extensive paper trees, and this is now being confirmed by DNA matches with distant cousins. MyHeritage's new cluster groupings were mostly on my mother's side of the family. Of my 27 clusters, only two were on Dad's side. Wondering what this means? There is also a new DNA interest group established on the Island and we will be meeting on the 3rd Thursday of the month at the Bribie Library starting in May. This should be a great way to ask questions, learn about new tools, and share our own experiences. 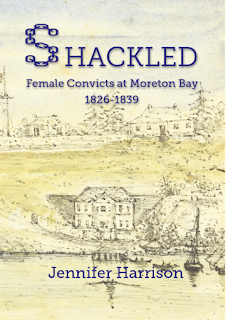 My next talk is at the Bribie Library and will be on convicts and criminals, a topic of interest as most of my families were behind bars at some point. The records are similar and provide a wealth of information not always found in other records. 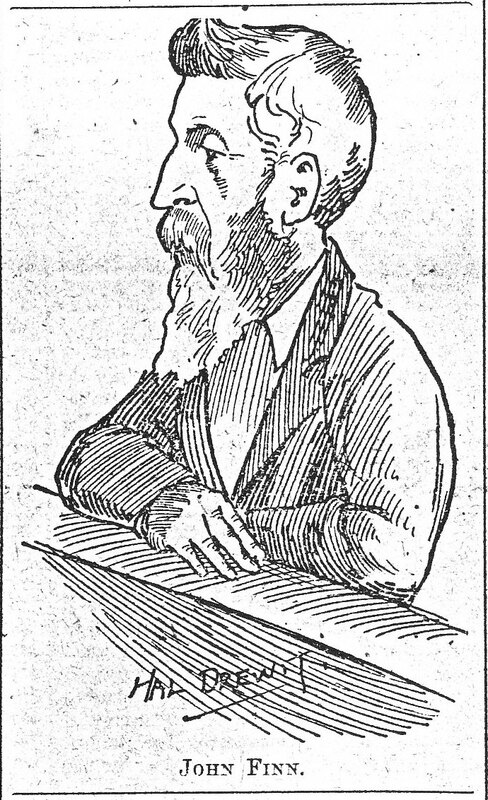 Sometimes they were acquitted but the records were still created while they waited for their day in court. Where and when I am speaking can be found on the Events page of my website. Only two more weeks and U3A breaks before starting Term 2. Easter is just around the corner and Mum will celebrate her 85th birthday. Apparently she wants fish and chips down by the passage. The aged care centre also provides a cake for Mum and the other residents so it will be a full on weekend. I have been working on an update to the Price family history for her but there is so much new material I'm not sure it will get finished in time. There are still three weeks, so no more bright shiny objects of distraction! Until next time, have lots of geneafun. Shauna Hicks 2016. Simple theme. Theme images by gaffera. Powered by Blogger.